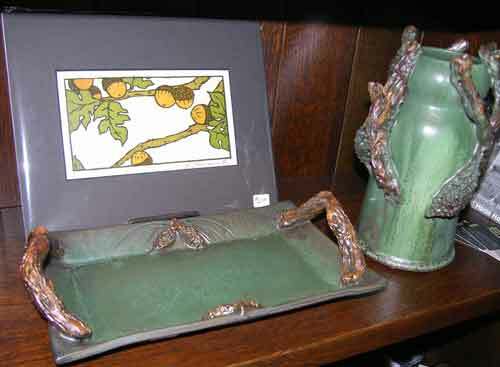 Gyldcraft Art Pottery - Inspired by the early 1900's Arts & Crafts Style | Blog site for Glydcraft: Art Pottery in the Arts and Crafts tradition. 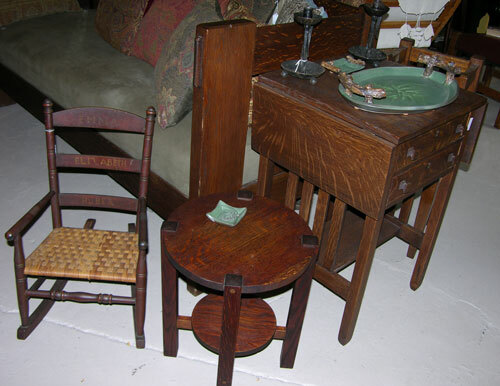 Antiques and Mission Era Accessories. Steve Blakely will be at the Roycroft Summer Festival 2018 in East Aurora NY. Look for me at the Arts & Crafts Conference at the Grove Park Inn, Asheville, North Carolina…. I don’t currently sell there but look for me and say hello! A Gyldcraft piece has been in the silent benefit auction for the last two years and will also in 2016. 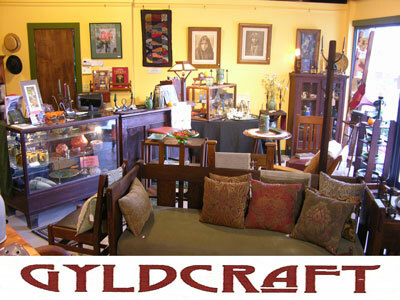 *Gyldcraft Art pottery is made at Kissimmee River Pottery by Steve Blakely, a student of John Fulwood. What a nice shop! We look forward to stopping in for a visit. Congratulations!! Love the store too and we still get lots of joy from our Pumpkin live size wood cut out purchased very happily before Halloween but now dressed with an elf hat and a scarf. And cannot wait to see the happy face of my sister in law when we give her the beautiful arts & crafts dish we bought for her.